The murder of the three policemen in Houndsditch on 16th December 1910 set Detective Inspector Frederick Porter Wensley – known as ‘the Weasel’ – and the Whitechapel police on a hunt throughout Christmas for members of the Latvian Anarchist Gang on the run in the East End, intensified by the discovery of the dead body of one of their number, George Gardstein, in a rented room in Stepney. At that time, the term “anarchist” was not yet synonymous with that of “terrorist,” as it subsequently became, rather these were people who sought to bring about social change through agitation and strikes instead of violence. 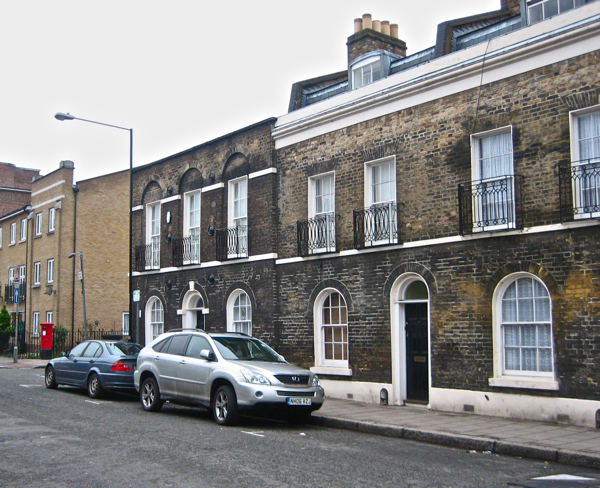 However, the Houndsditch Murders occasioned a significant change in perception of the movement in Britain, even though it had an established presence in the East End, dating from the eighteen seventies when insurrectionists came as refugees from Russia, Germany, and France after the civil war. Several presumed members of the gang were already in custody thanks to informant Nicholas Tomacoff, the mandolin teacher who was enjoying five weeks in a hotel over the festive season with all expenses paid and had fitted himself out in new clothes thanks to the police reward. It was established that members of the gang had rented properties in Exchange Buildings, staging an attempt to break through the wall into the jeweller’s shop in Houndsditch and steal the Tsar’s jewels that were rumoured to be held there. Arthur Harding, an East End villain who knew them personally described the gang in his autobiography, “We knew they were crooked but we were told they were on the run from the Russian Secret Police, that fact alone gained them our sympathy. They had to live, they had to pay their lodgings, and they needed money for their politics when all’s said and done. That’s why they did these robberies.” Many were educated young Jewish people who had participated in the Latvian revolt for independence from the Russian Empire in 1905, which was brutally repressed by Russian troops – with particular savagery directed against Jews – and several had been imprisoned and tortured, as letters discovered in the room in Grove St testified. Meanwhile, Louise Bentley, the widow of Sergeant Bentley, had given birth to a son over Christmas, named Robert after his heroic father shot dead on 16th December. “Baby Bentley,” he was christened by the press, emphasising the poignancy of his birth, and a Daily Express fund raised almost two thousand pounds for the three families of the dead policemen in a matter of days. Later, Detective Inspector Wensley received a phone call after midnight at the Leman St Police Station. “We don’t like the look of things!” he was told, and reinforcements were swiftly drafted from other forces to move in on Sidney St before dawn. They gathered at Arbour Sq Police Station at 12:45am and set out with guns, walking together in the dark through the snowy East End streets, uncertain what they might encounter. 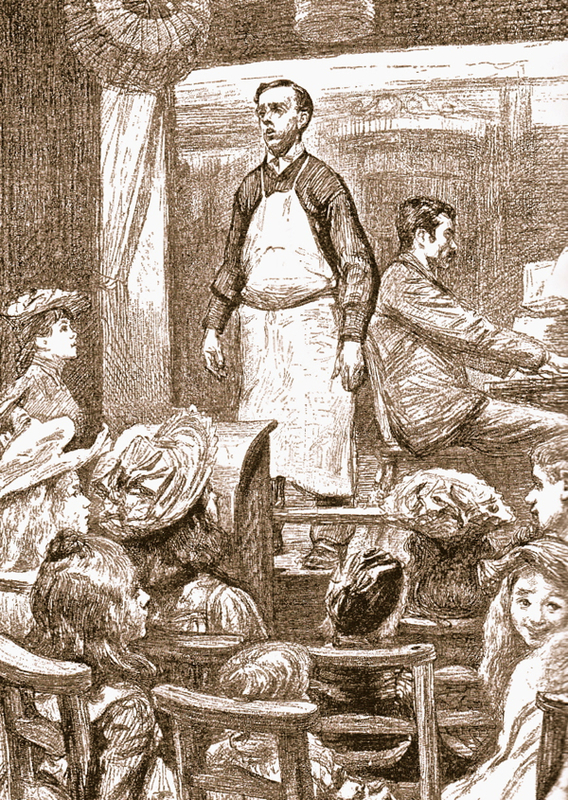 Ominously, in the light of the Houndsditch shootings, married men were excluded from the showdown, which was to be the culmination of the violent train of events set in motion before Christmas. You may expect to read a full account of the events that transpired in Sidney Street imminently. 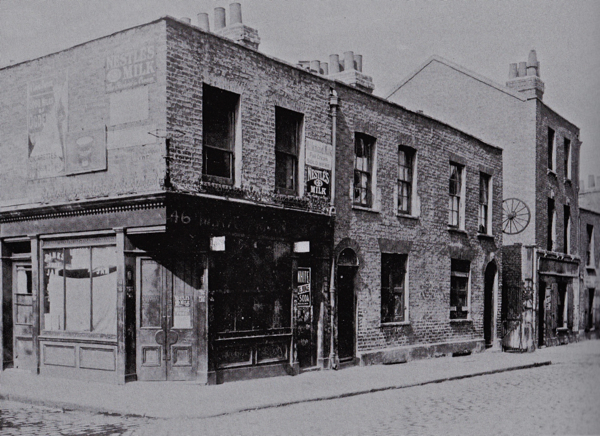 Until 1892, the tall building on the right of this photograph, 40 Berner St (now renamed Henriques St) was the Russian Anarchists’ Club. It was closed when an LCC inspector declared the premises as unsafe. 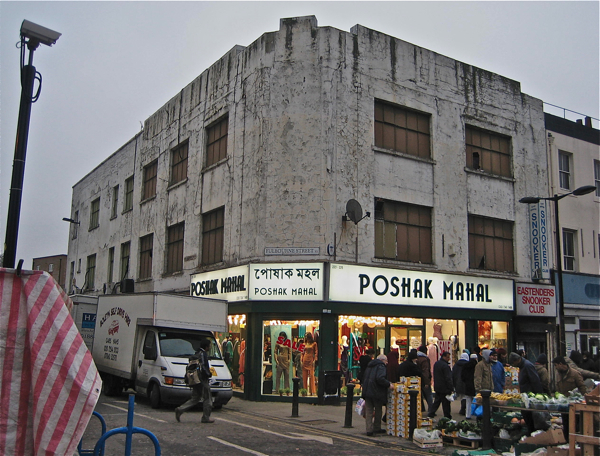 In this building on the corner of Fulbourne St in Whitechapel Market was held the Fifth Congress of the Russian Social Democratic Labour Party, consolidating the Bolshevik Party in May 1907, while Lenin, Trotsky, Stalin, Litvinov and Gorky, founders of the future Soviet Union, were all living in exile in Whitechapel. In Jubilee St, on the corner of Lindley St, (where the pillar box now stands) was the location of the Anarchist’s Club between 1906 & 1914. Previously Lenin addressed a meeting here on March 21st, 1903, and was reportedly seen in the Club in 1907 & 1908. I’m currently looking into the anarchist clubs of the East End – I was just wondering where you sourced the first two pictures of the Berner street club in particular.